Parque Verde is an apartment complex located within southern Tenerife’s Golf del Sur Golf Course. It offers 3 outdoor pools and studios with a private balcony overlooking the pool area. The studios feature a double bed or 2 single beds, and the living area has a sofa bed and a TV with a selection of international channels. Each one has a kitchenette with a hob, microwave and coffee maker. The Parque Verde complex has a large shaded barbecue area where you can enjoy a meal outside. There are tennis courts, a restaurant and supermarket located 600 metres away. San Blas Marina is 400 metres from Parque Verde. You can drive to Tenerife Sur Airport in around 10 minutes. Aparthotel Cordial Golf Plaza offers a spa, gym and outdoor swimming pools, surrounded by terraces and gardens. The Golf Plaza offers apartments and studios, all with air conditioning and a furnished balcony or terrace. They include a lounge with satellite TV and a well-equipped kitchen area. There is free Wi-Fi in public areas. 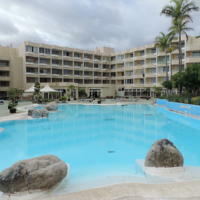 Aparthotel Golf Plaza Tenerife is next to the Amarilla Golf and Golf Sur Golf Courses. 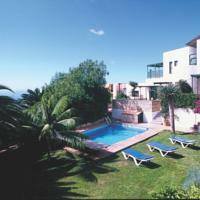 It is just 500 metres from the harbour of San Miguel de Abona. Varied buffet meals are served for breakfast and dinner, including show cooking. Lunch is available at the poolside snack bar, as well as drinks and snacks. The piano bar offers drinks and shows several times a week. Set in the tranquil, rural community of San Miguel, these cheerful apartments have amazing views over the island, which can be enjoyed from the open-air pool and terrace. 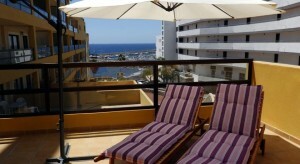 The apartments are decorated in a homely style with typical Canarian colours and cosy furnishings. There are tiled floors and large windows which let in plenty of natural light. Each apartment has a lounge and kitchen-dining room. Take the pleasant drive though Tenerife’s amazing landscapes to the coast which is just 12 km away. Once here, you can discover wonderful beaches and waters which are a hotspot for windsurfing and surfing. You can store all your equipment in the storage available in the Casa San Miguel’s garage. Soak up the Tenerife sunshine on the San Miguel’s sun terrace and then cool off in the outdoor pool from where you can gaze at the breath-taking scenery. 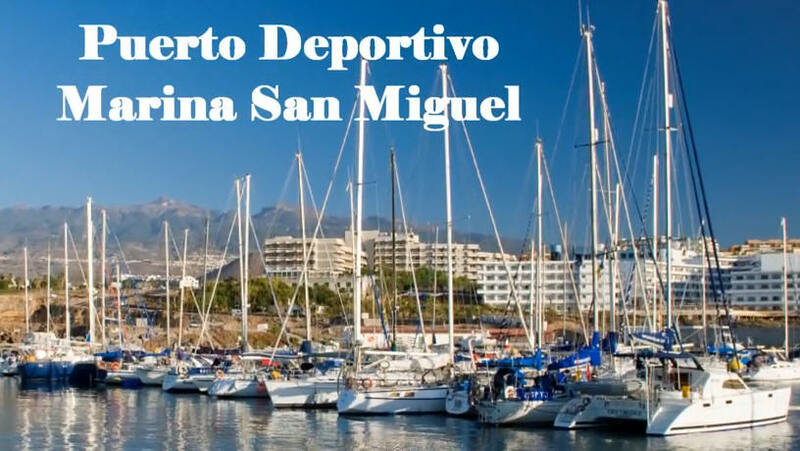 Enjoy the friendly, local atmosphere of San Miguel. Here you will find a good selection of bars and shops to browse and complement your self-catered holiday. We speak your language! Apartments: 8. Located in Los Abrigos, Apartamento Golf del Sur features a furnished terrace with sea views. The living room opens onto the terrace and includes a sofa bed and a flat-screen TV. This bright apartment has a dining area and the kitchen is equipped with an oven, coffee machine and kitchenware. A washing machine is also available. Decorated in green tones, the double bedroom comes with a wardrobe. The bathroom has a bath and bed linen and towels are provided. Several activities like diving, horse riding and fishing can be enjoyed in the area. Restaurants, shops and bars are within 5 minute’s walk from the accommodation. Amarilla Country Golf Club is 1.5 km away. San Miguel de Abona, southern district of the island of Tenerife, stretches, like the vast majority of municipalities canaries, from the hill to the coastline. It is nestled between the towns of Vilaflor, in the north, Granadilla, east , Arona, on the western and southern boundary as the sea. San Miguel de Abona is a town and a municipality in the southern part of the island of Tenerife, one of the Canary Islands, and part of the province of Santa Cruz de Tenerife, Spain. The TF-1 motorway passes through the southern part of the municipality. In the south of the municipality, on the coastline, lies the golf course and holiday residential village of Golf del Sur.